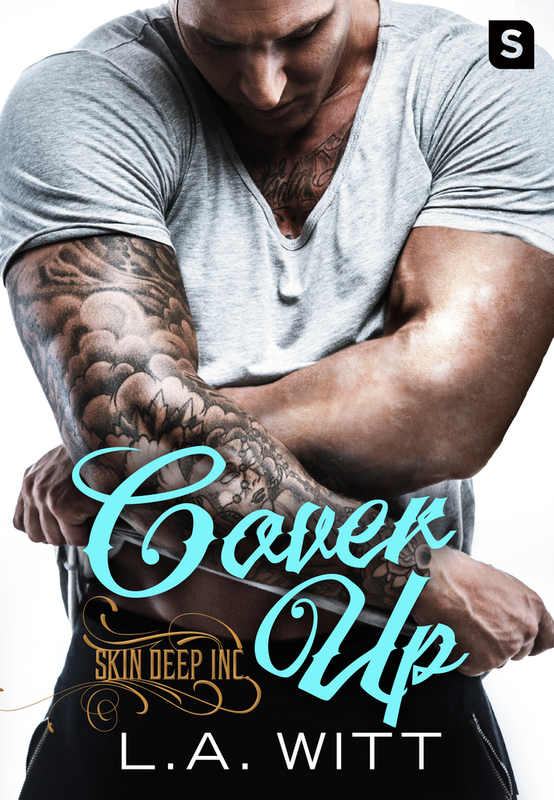 It feels as if L.A. Witt saved the best for last with her Skin Deep Inc. series ender, Cover Up, which is the story of Nate Chandler, a navy pilot with the rank of lieutenant commander and in the middle of a divorce with his cheater of a husband of ten years, and Lucas Brandt, an apprentice at the Skin Deep Inc. tattoo studio whose expertise is cover-ups. The last thing Nate wants is to be reminded of his soon-to-be ex's betrayal every single time he had to glimpse the matching tiger tattoo he had on his skin. The solution was to get it covered up and Lucas came highly recommended. While Nate took note of just how intent Lucas was in doing a good job, he also couldn't help but notice exactly how gorgeous the younger man was, and the attraction was every bit as mutual as he'd hoped it would be. Didn't his closest friend say that the best way to get over his ex would be to hook up? Lucas was more than up for it, and it proved to be an unforgettable one for both, to the point that one time wasn't going to suffice. But when the line blurs between a casual, friends-with-benefits setup to something far more intimate, will the two men who've three failed marriages between them want something more permanent or will it remain a cover-up? Purchase Cover Up on Amazon | B&N | iBooks | Kobo.